Good until Saturday MAR-2-2019 at 11:59pm ET (or earlier if it sells out), you can get the new condition NuForce BE2 necklace-style bluetooth in-ears for $15 with free US shipping at B&H Photo. The sale is only available on the white color scheme. This is an older Bose style, they are neither earbuds, nor in-ears in the true sense of the word. There is a speaker-ish protrusion that breaks the plane of the ear canal, however, they don’t have the squishy eartip that forms a seal. 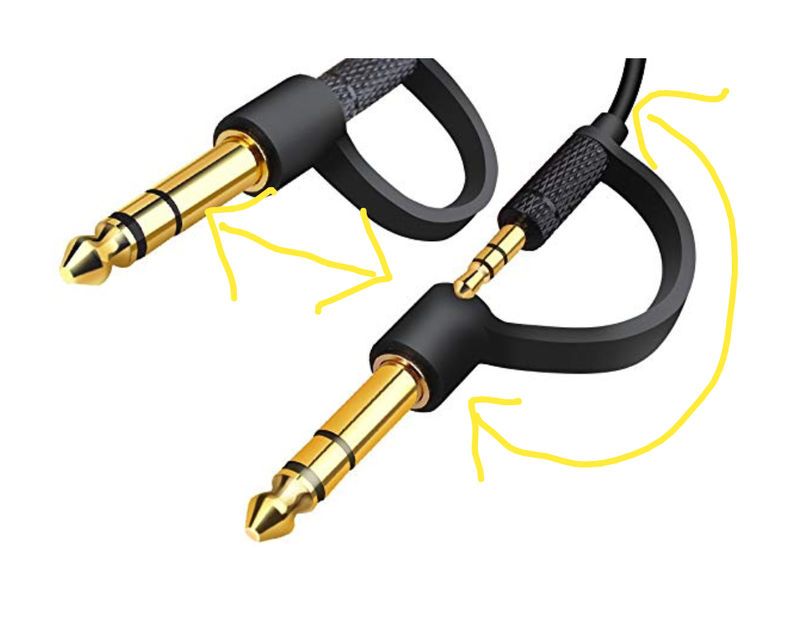 The plus side is that they are more comfortable for people who have issues traditional in-ears, but on the other hand, you can’t get a seal, so say goodbye to isolation with these. I have a different older model of these, they have their uses, and those “Stay Hear” things do indeed help them stay on your ear. Wednesday: Feed your DAPs, Backup your FLACs! Humans need to eat every day but the DAPs and PADs are not that hungry. But they must needs eat too, so if they need feeding, there’s a big Sandisk storage sale at the Amazon USA Gold Box daily deals running until Thursday FEB-28 in 2019 at 3am ET. The sale includes the 200GB Sandisk Ultra microSD card for $29.21 and the 400GB for $62.30. The 200GB is the bang for the buck of the two. But regardless, make sure your DAPs/PADs are compatible and perform as expected with them before buying them. This especially if you have older devices or devices without newer firmware updates. On the FLAC (and other digital music) storage front, the sale also includes a vast variety of USB flash drives, conventional, tiny, and double-sided (connector wise that is). On top of that, there’s a sale on various Western Digital [which has purchased Sandisk a few months ago] external and gaming hard drives up to 10TB [that’s a lot of music]. And if you prefer SSD style storage, an external G-Technology USB flash drive that is advertised as more durable goes for $168. It’s a sitewide coupon sale at HD Tracks! Coupon code HD26FEB gets you 20% off when you buy two more albums. The discount is sitewide , so it’s a good opportunity to pick up music that rarely gets discounted. There are some exclusions to the sale: music that is already on sale by the record labels. You can muse the coupon as many times as you like until it expires at the very last second of February 2019 in the eastern time zone. With three days and change left (as of the time of this post), Massdrop is offering a $50 IEM, it’s the new condition Echobox Audio Finder X1, showing that not all IEMs at MD are triple figure or above! It comes with a clamshell case along with various different type eartips, but that’s not all, this one has “tuning filters”. Whether you find these useful or not, it’s up to you. Some like that, others find them as mostly gimmicky-marketing. We blog, you decide! The Grace is Gone insists the Dave Matthews Band, but Massdrop begs to differ as they have brought back their Massdrop x Grace Design Standard DAC for $80 with a 1-year manufacturer warranty. It has USB Micro (aka microUSB) audio input and output is RCA and 3.5mm TRS. It is USB Class 1. Rock and roll is king claims some fans, and the makers of TFZ claim that their IEMs are king. So much so that they named them so 🙂 Silliness aside, running at Massdrop for the next three days and change [as of the time of writing] is a sale on the TFZ King II in-ears for $85 with a choice of four different color schemes. 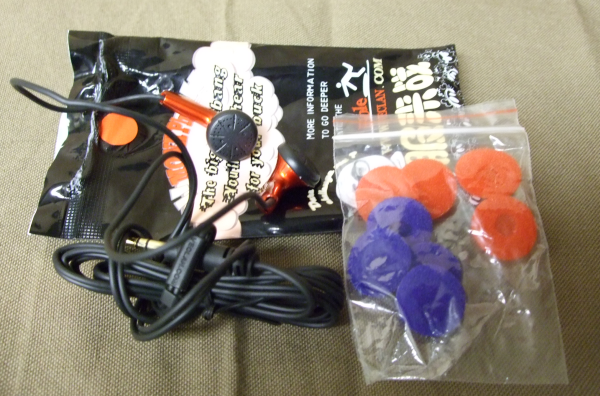 Or for $105 you can buy the King LTD in-ears which are available in three different color schemes. These will ship in early April, just after the 2019 NCAA basketball Final Four, and they ship from Massdrop. There’s no mention of warranty in the listing. Shipping is FREE for Prime members [as long as you link your Woot account with your Amazon Prime account ~ this is a one time thing]. Non-Prime members pay a flat $6 shipping fee [it used to be $5] for all orders placed during a single calendar day in the Central time zone [that’s where Woot lives]. Speaking of Monoprice, for those not interested in waiting for coupons or assembling a large enough offer so you can use the coupon, they are currently having an offer on the new condition Triple Driver earphones, they are going for $30 with free standard US shipping… I haven’t tested them with any coupons to see if they are stackable, so YMMV… These have a 1-button remote and mic, and average 4.3 out of 5 based on 95 Monoprice customer reviews..
UPDATE: speaking of Monoprice, their closed-back over-ear 8323 with Bluetooth aka PID 24735, is down to the very specific price of $25.60 with free standard US shipping with up to 20 units per customer. Note that the reviews are blended with the good old 8323 headphones and the vast majority of those reviews are of the older 8323. There is some confusion as to the difference between these red/white cards and the green Select. The internet consensus appears to be that the green Select cards are simply exclusive rebrands for Amazon. This allows Amazon to set and adjust pricing without having to deal with the whole MAP song and dance. Beats and Bose, they break my bones lament some audiophiles in the forums, but if you are not part of the Bose lament, Woot is having a refurbished BOSE headphone sale as part of their Sunday FEB-24-2019 daily deals which run until 11:59pm central time [or earlier for any model that sells out ahead of time]. Good until Thursday at 11:59pm eastern time, you can get the new condition NuForce BE Sport3 bluetooth earphones for $35 with free US shipping as one of the deals of the day at B&H Photo. Only this color gun-metal scheme is on sale. These are necklace-style, with earhooks and double flange. They are baaaack! VE Monk fans, unite and take over! Good for the next four days and change, Massdrop has brought back the Venture Electronics Monk Plus earbuds. Yes, for those not familiar, these are actual earbuds, not in-ears. This time it is the “exclusive blue” color scheme. The price is $5 for the base model without a mic/remote. The option with a standard mic/remote is $7, or if you prefer the Android mic/remote you pay $10. For cable fans, they offer the braided cable for +$15. Yes, the cable costs 3X the price of the base earbud 🙂 However, this option also includes a VE-branded carrying case. The earfoams vary depending on the cable package chosen. I bought the red variant many moons ago, here’s my text and pictures unboxing [including the legendary (???) Massdrop-branded envelope]. There’s also an experimental and incomplete review diary. On the budget side of things, at Amazon USA, if you prefer a non-fully-solid headband, they are offering the new condition Panasonic RP-HT161-K closed-back over-ear lighter-ish [weight-wise] headphones for $13 and you can buy as many as you like. Note that these have a 6.5 foot cable. It has the XBS logo on it, so keep that in mind [XBS = Extra Bass System]. 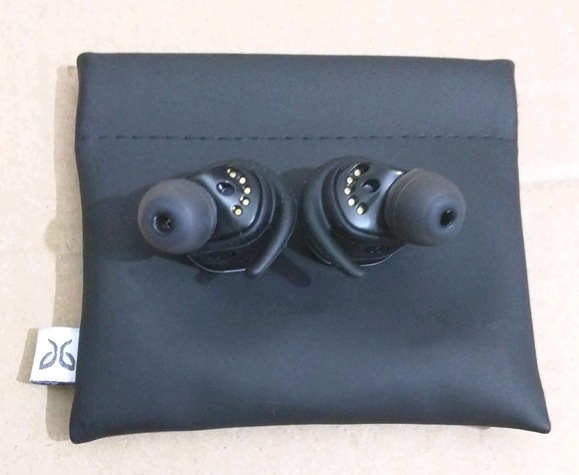 NOTE also that its reviews are mixed-in with an on-ear model that resides on the same root listing, so when reading both the customer reviews and the answered-questions, make sure they are referring to this model and not the other. For Tuesday at Amazon Germany there is a Logitech umbrella audio sale. Umbrella because Logitech has picked up a few audio companies along the way including Ultimate Ears and Jaybird and more recently Blue Mic too.